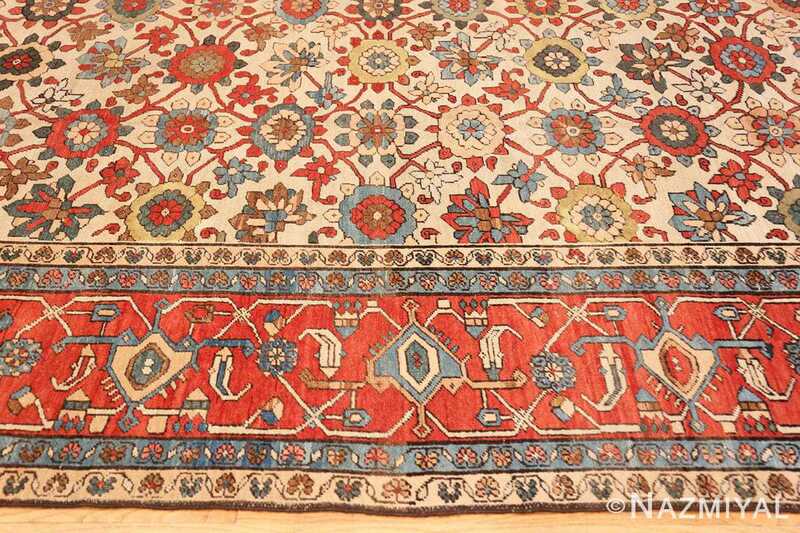 Antique Persian Serapi Rug, Country of Origin: Persia, Circa Date: 1900– A multihued array of colorful flowers fills this antique Persian rug. Resting on a latticework of red stems, the flowers align into perfect rows and columns. 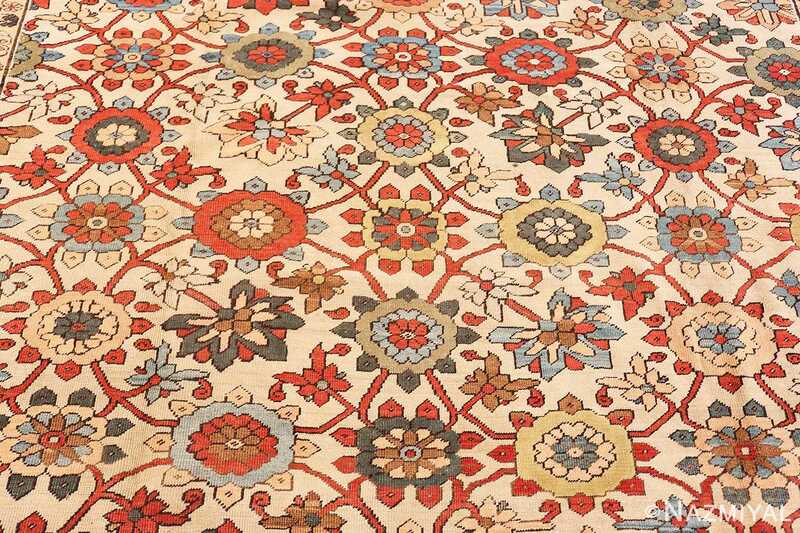 The larger blossoms, each multicolored in layers, are flanked by smaller flowers shaped like butterflies. 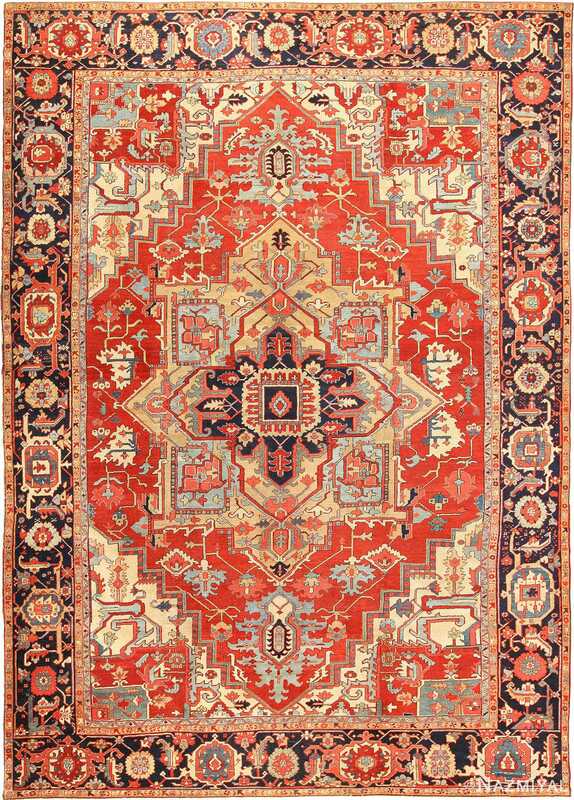 The regular repetition of the pattern is belied by random choices between bright red, blue, yellow and green. 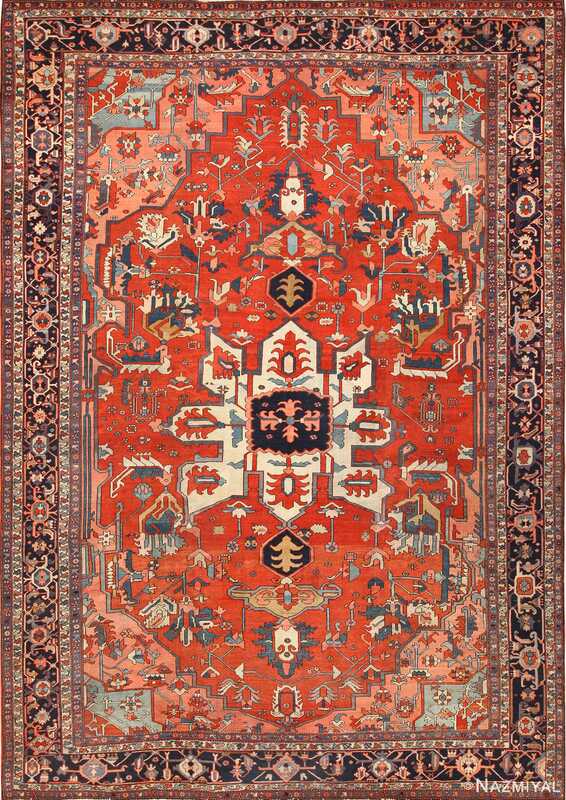 Identical but for color, two bands display simple blossoms dangling on looping vines. With yellow and blue backgrounds, these small Serapi borders are repeated on the outer edge, cradling between them one wide bar of red. 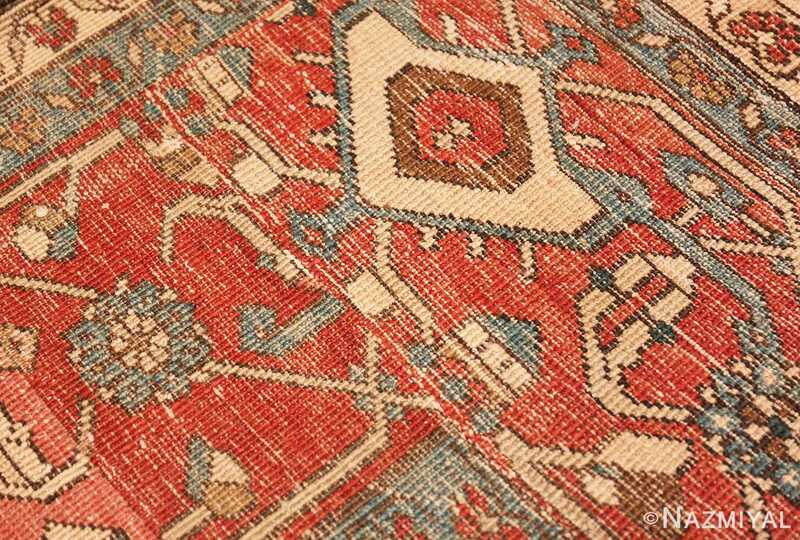 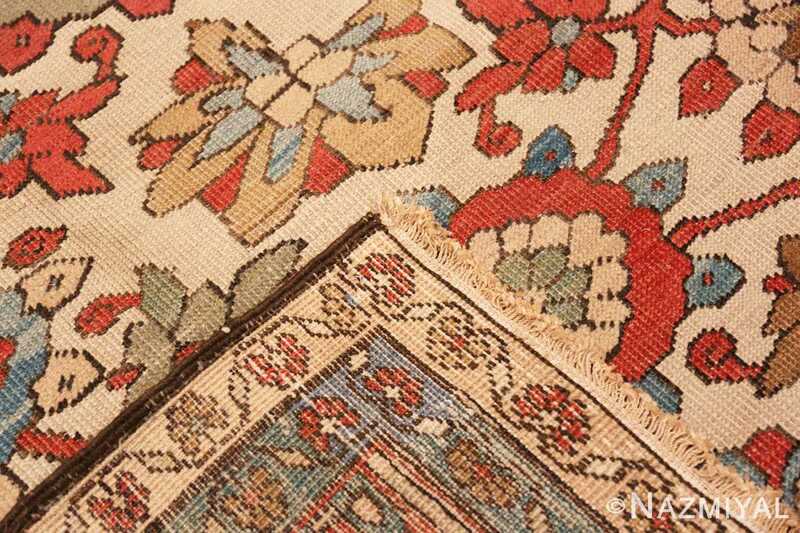 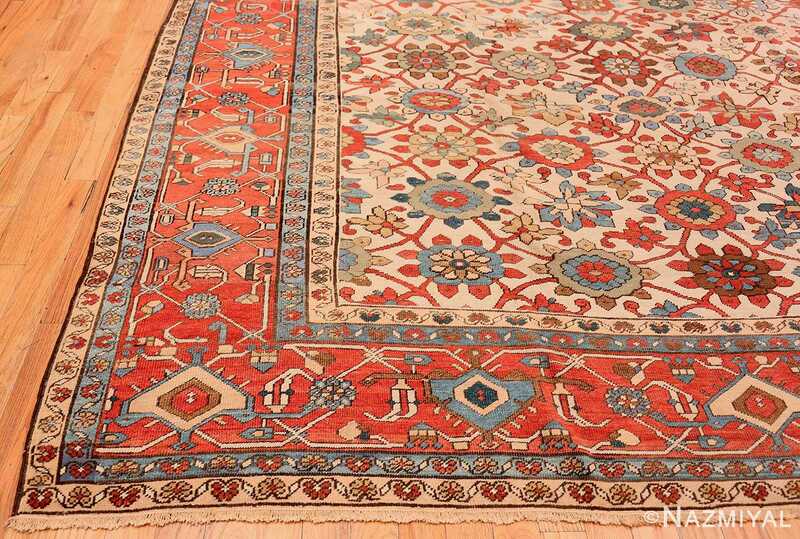 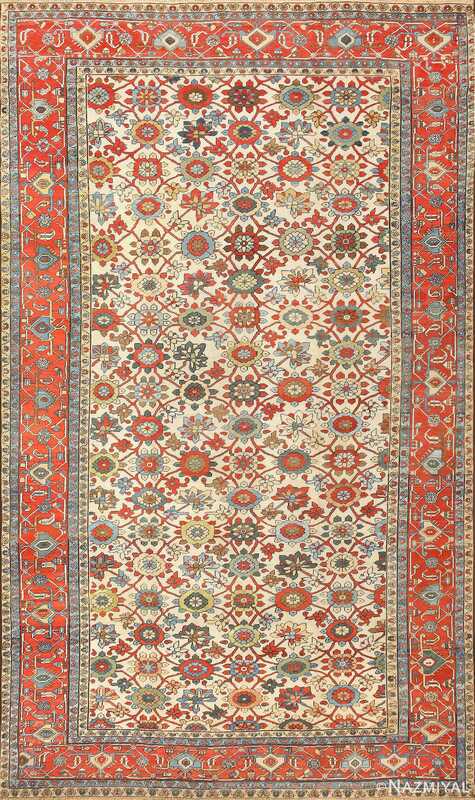 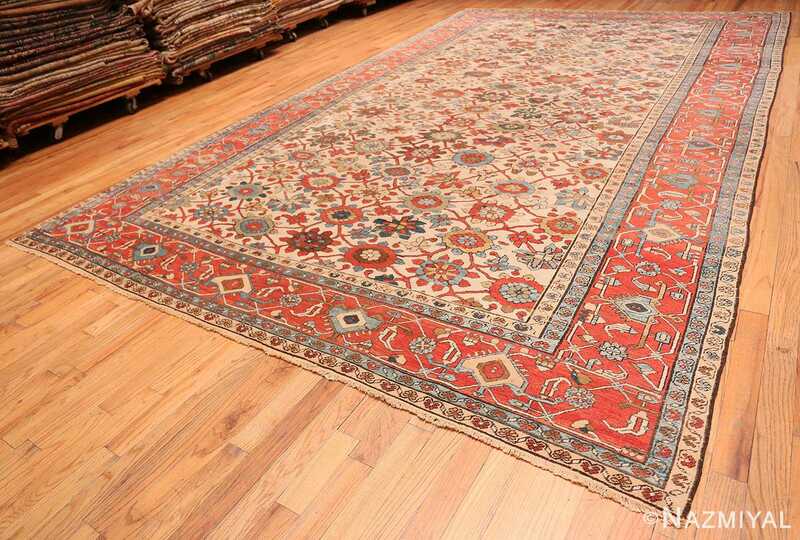 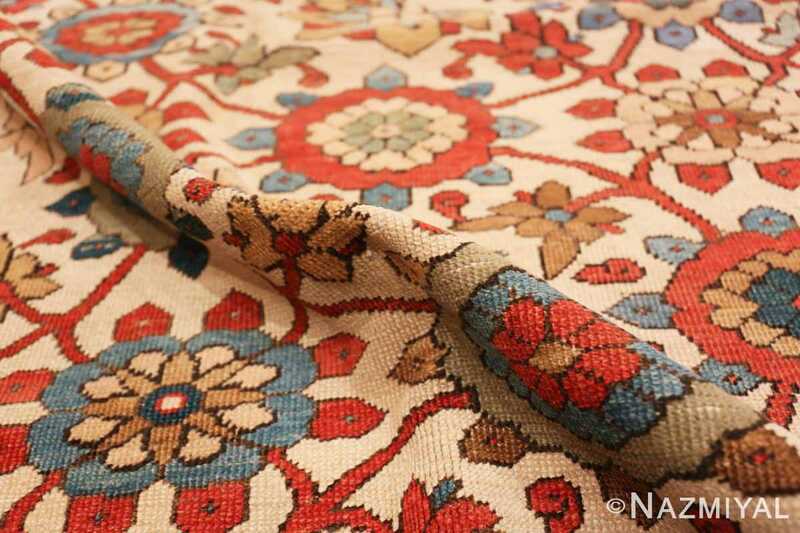 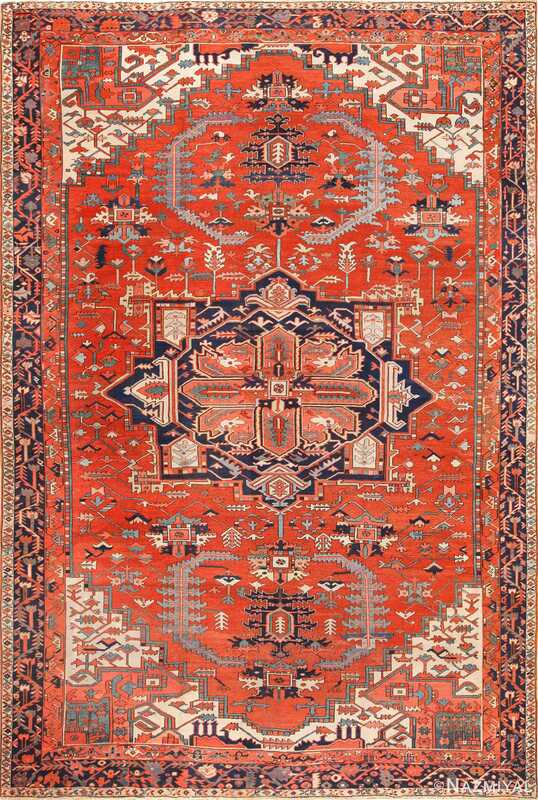 This broad border, on the antique rug is vibrant and full of angular, interlocking pieces.